Every July, for The Abbey’s anniversary, we give out thousands of dollars in grants to 501(c)3 charitable organizations in Washington state. That’s right, the money we raise with your help goes directly back to fund grass roots programs whose focus is to improve and strengthen the GLBTQ community. Applications for our 2018 grant cycle are now being accepted! 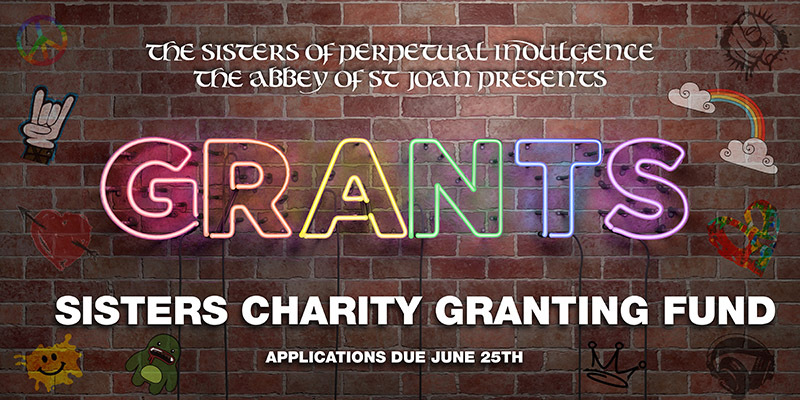 Contact Sister Helen at grants@theabbey.org to request an application. Applications are due by midnight on June 25th, 2018. Fundraising for our 2019 Granting Fund is still underway! All year long we produce special events to raise money for the fund. We also participate in fundraising opportunities offered by businesses and other organizations in our community, as well as accepting direct donations from individual community members like YOU! if you’d like to donate to our Granting Fund please click the link below. Every dollar you give to the Sisters is a dollar for your community — help make it stronger!